Plagiarism has become a burning issue in the modern society. We are all aware of it, but most of us don’t realize how serious it is. In the world where information is abundant, it seems that everything has already been invented and all ideas have already been expressed. That’s why to many of us plagiarism seems like something that we can innocently resort to. Plagiarism is the most common among students. They surf the Internet in search for the information for the discussion points for a seminar and often copy and paste the information they find. According to the survey conducted by Rutgers University, which has united over 63 000 students, has shown that 36 % of the students admit copying the information without crediting it, thus making plagiarism rather common in the academic field. The problem is that many of us don’t understand what exactly is behind the word “plagiarism”. This term is multi-faceted and requires a deeper study. So for the convenience of our readers, we’ve prepared an informative guide that covers all aspects of plagiarism and how to avoid it. Plagiarism also refers to a literary theft as it’s often spread in literary circles. Already existing ideas are presented as new, and the original source is not credited. The verb “plagiarize” came from Latin, somewhat preserving its original meaning “to kidnap”. So is it really possible for ideas to be “kidnapped”? While many people consider plagiarism as an academic issue, it’s actually the act of fraud. When people plagiarize, they basically steal something from others and lie about it. Any ideas we expressed are viewed as intellectual property, which is protected by copyright laws. So as long as you’ve recorded your thoughts and ideas somewhere, they immediately get protected by copyright laws. While plagiarism exists in many forms, there are actually two basic types of plagiarism that unite all various forms of this type of theft. Intentional plagiarism speaks for itself: it’s basically theft that you’re aware of and do it on purpose. The following are the most widespread forms of intentional plagiarism. Ctrl+C & Ctrl+V. Known as copy&paste, this keyboard command is the most widespread form of the intentional plagiarism. While this command wasn’t originally created for this, it’s often used by the students who are searching for some credible information for the seminar and don’t reference the source. Intentional paraphrasing. This is so-called plagiarism of structure. 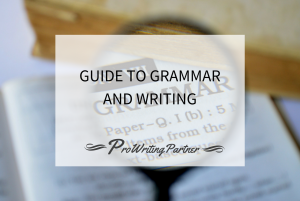 When you paraphrase, you simply substitute the words with their synonyms, avoiding any repetitions and similarities, but making sure that the original idea is preserved. Students often do it when their essay or research paper lacks original ideas and they steal by paraphrasing to introduce something fresh. But paraphrasing doesn’t imply that you now can drop the citations down. Self-Plagiarism. This form of plagiarism occurs when people re-introduce one and the same work when the original content is required. The work itself may be plagiarism-free, but the very act of re-using the same paper over and over again is the act of plagiarism. But it doesn’t mean that you cannot refer to your work. It is allowed as long as you cite your previous works correctly. Plagiarizing the authorship. Downloading someone else’s work from the Internet is a very widespread form of plagiarism. There are cases when students often delete the name of the author and insert their own. Or they borrow an electronic version of work from their friends and re-introduce it as their own. Patch writing. Also known as ‘mosaic plagiarism’ is selling the ideas of others as your own and intentionally avoiding the citations. If you resort to this form of plagiarism, you should be aware that it can easily be checked and you will get severely punished, even if you use footnotes. This type unites the cases when plagiarism occurs when people aren’t well-informed about proper crediting without breaching the copyright laws. Here are the most common forms of unintentional plagiarism. Failing to put correct citations. 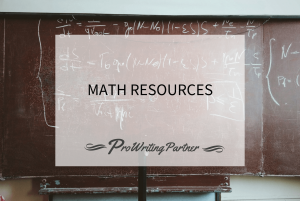 This often happens to students, who sometimes get confused when creating the list of references for essays and research papers or to quote a certain work in the text. One of the most widespread cases of failed citation is putting a definition without referring to the original source. It creates the vision of a freshly coined term, which has actually existed for a while. This may occur due to a simple inattentiveness, which you’ll have to be responsible. Failing to put a reference to paraphrased information. To some students, it may be obvious that it’s not necessary to cite the source if you’re not using the quotation marks. But paraphrasing the information doesn’t turn it into something original. Compared to intentional paraphrasing, unintentional paraphrasing often occurs when we get under the influence of other authors. This usually happens to the bloggers who try to create original content, but inevitably get influenced by other bloggers’ ideas and unintentionally mention them while creating their own content. Citing the ideas which have already been stolen from someone else. The Internet is overflown with so much information that sometimes it’s quite hard to track the original authors. And often it happens that we try to be fair and cite the work that has already been stolen. This often happens to the students that don’t know the difference between credible and non-credible online sources. There are lots of tools to help you check your work for plagiarism, the best of which we’ve listed below. But using these tools isn’t always enough to avoid plagiarism. It actually requires a lot of self-work to introduce your ideas without accidentally plagiarizing someone. 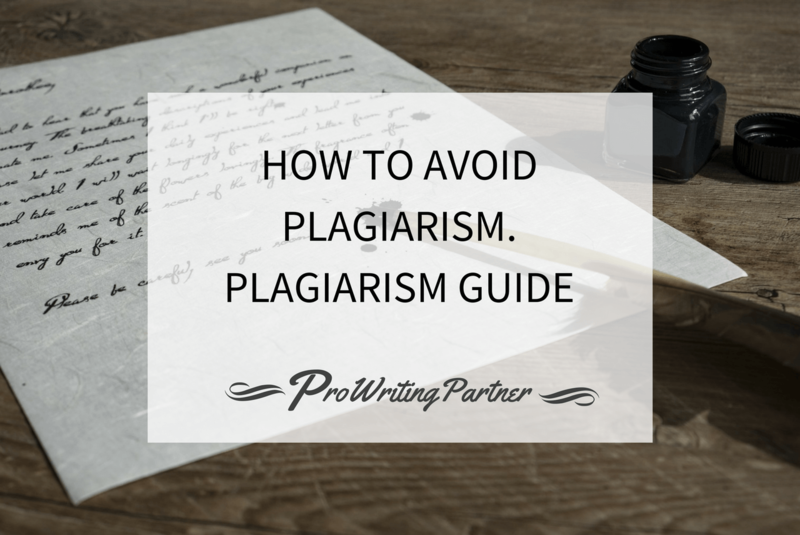 Here are 7 steps you can follow that will help you learn how to avoid plagiarism. Learn about the field you’re writing about. After realizing what hides behind the plagiarism, you’ll understand that in order to write a plagiarism-free work you need to be well aware of the field you’re writing about. Get to know the most famous academicians and scientists of this field, the ideas they’ve introduced. Being well-informed is the first step to avoiding plagiarism. Cite and quote, and then double-check. There’s a short list of things that you don’t need to cite, but in other cases, you need to use references. After you’ve cited all works, double check all quotes and citations. If you miss at least, it will immediately put your work in jeopardy. Give credit when paraphrasing. As you already know, paraphrasing doesn’t mean avoiding paying respects to the author of the idea. When paraphrasing, say “John B. Watson claimed that methodological behaviorism is based on measured and observable behaviors” The ideas you’re talking about have probably been introduced earlier. So don’t forget to mention the author. Cite your own ideas. If you’ve introduced some ideas to the academic world in your earlier works, you need to cite them properly, as you cite other authors. Otherwise, it falls under the case of self-plagiarism. Don’t forget about the Internet sources. Sources from the Internet also need to be cited properly. Many academic papers are published in online scientific magazines and periodicals. But they still fall under the protection of copyright laws, thus it must be cited. Grammarly: this tools doesn’t only help the grammar in your work be flawless, but also has anti-plagiarism tools. Unicheck: formerly known as Unplag, this online tool is a must-use for everybody who works with texts and creates original content. You simply insert the written content in the special field on their web-page, and Unicheck compares your content with over 16 billion pages on Bing and Google. PlagScan: this online plagiarism checker is very easy to use. It is designed for education as well as for business. It allows you to upload pdf. and docx. files. All you need is to sign up and download the file. This tool also provides you with a detailed plagiarism report. PlagTracker: this is one of the most accurate plagiarism checking services. It proved you with a detailed report and comments on the section of the text where plagiarism is detected. It’s free, easy and great to use. Plagium: insert written content and get your plagiarism report in several seconds. The great feature of this online plagiarism checking tools is that it compares your content to posts on social media as well. In case you need more information about plagiarism, you can also visit these online plagiarism guides. 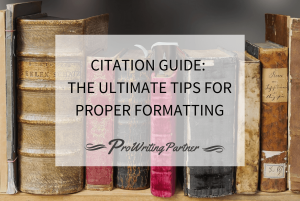 They provide examples of plagiarism as well as the ways how to put citations and references correctly and will help you better learn how not to plagiarize. University of Oxford: Guidelines on Plagiarism: web-page with basic questions and answers about plagiarism. Research Guides (University of Michigan): web-page with all necessary information about plagiarism and opinions of students regarding this issue. Citation rules and avoiding plagiarism (UCLA): guide on proper citing and referencing as well as tips on how to avoid plagiarism. Rules of using sources (Harvard University): detailed information about the forms of plagiarism, the list of sources that must be and mustn’t be cited and a guide how to avoid plagiarism. Avoiding Plagiarism (University of Queensland): explanation of the importance of academic integrity and a simple guide how to cite correctly.